SeaWorld isn't having a whale of a good time these days. Shares of the theme park operator plunged nearly 33% Wednesday after it reported weak earnings and lackluster attendance for the year, especially at its flagship destination theme parks in San Diego and Orlando. SeaWorld Entertainment (SEAS) said it expects a revenue drop of 6 to 7% for the year. That's a lot worse than Wall Street expected. In fact, many investors had been forecasting a revenue jump for 2014. Blame Harry Potter for some of SeaWorld's problems. The company said the young wizard attraction at Universal Studios Florida is luring a lot of visitors away from SeaWorld. The fact that many school years were extended because of all the snow cancellations also had an impact. But bad publicity also played a role. SeaWorld has come under fire after the airing of "Blackfish" last year, a CNN documentary that exposed the alleged dangers of keeping orca whales in captivity. 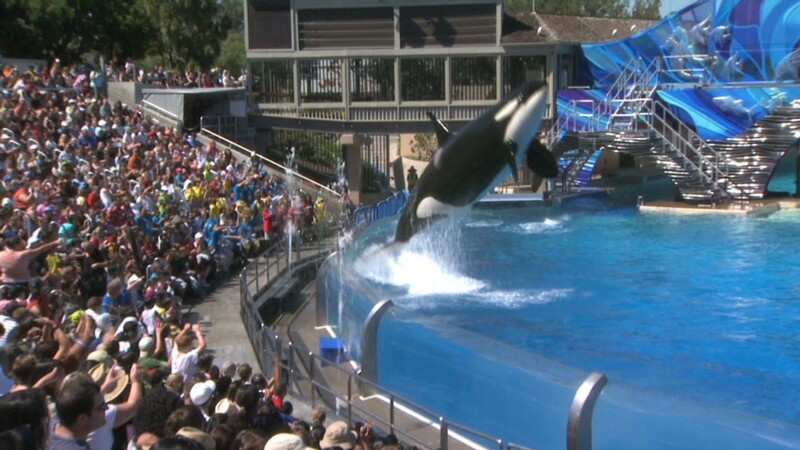 The film has led to proposed legislation in California, home of SeaWord's San Diego park, to ban the holding of so-called "killer whales" in captivity. In its earnings release Wednesday, SeaWorld acknowledged that attendance in San Diego was hurt by recent media attention around the legislation. It was the first time the company actually admitted attendance problems because of animal activism, said Barton Crockett, an analyst at FBR Capital Markets, in a research note following SeaWorld's earnings. This comes on the heels of the late July announcement that Southwest Airlines (LUV) is ending its promotional partnership with SeaWorld. The two companies had doing joint events and marketing for more than 15 years. While neither company mentioned "Blackfish" as a contributing factor in terminating the relationship, a petition on change.org urging Southwest to shutter its affiliation with SeaWorld garnered over 30,000 signatures. Amid its troubles, SeaWorld is attempting to appease investors. It announced a $250 million buyback Wednesday, and said it plans to initiate a series of cost cutting initiatives. Part of those savings will be used to return more cash to shareholders. SeaWorld went public in 2012. It was formerly own by private equity giant The Blackstone Group (BX). While investors dove into the stock initially, it dropped over 45% in the past past year. 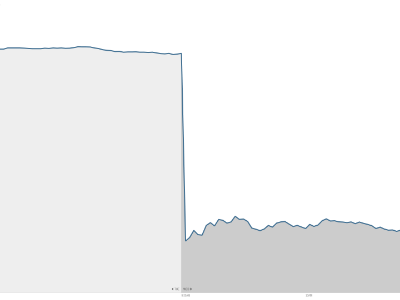 After Wednesday's decline, the stock is now below its IPO price, a clear warning threshold for stocks.